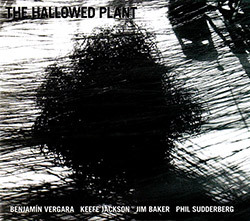 During Chilean trumpeter Benjamn Vergara's visit to Chicago in 2016 he joined forces with multi-reedist Keefe Jackson, pianist and ARP synth player Jim Baker, and drummer Phil Sudderberg to record this album of collective free jazz, a mix of lyrical and abstract playing that references bop and the modern Chicago creative scene in sublime ways. 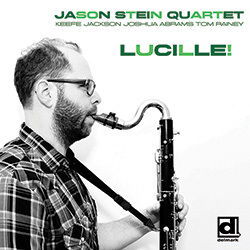 Bass clarinetist Jason Stein draws from the work of Thelonious Monk, Charlie Parker and Lennie Tristano plus original compositions, with his quartet of Chicago peers Keefe Jackson (tenor sax & contrabass clarinet) and Joshua Abrams (bass) and NY drummer Tom Rainey, in enthusiastically energetic and lyrical music that uses modern creative skills to look forward and back. 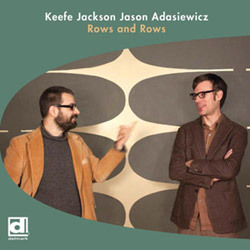 An inventive and lyrical set of duos between Chicago tenor saxophonist and bass clarinetist Keefe Jackson and vibraphonist Jason Adasiewicz, nine concise pieces that blend free improvisation with compositions seamlessly in a really delightful duo. 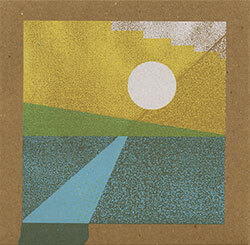 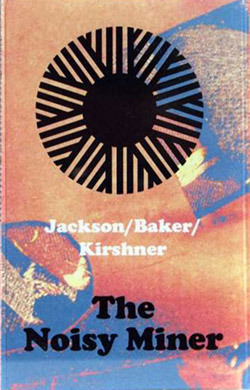 Chicago mainstays Keefe Jackson on tenor and sopranino sax, Jim Baker on piano and synths, and Julian Kirshner on drums, are caught live at the Constellation in 2015 for a forceful, demanding yet lyrical set of free improvisations, a great example of the fertile Chicago scene. 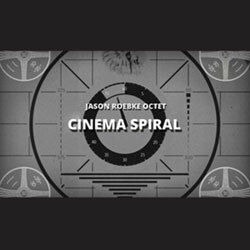 A powerful band fueled by three woodwind players (Boris Hauf, Keefe Jackson, Jason Stein) and three drummers (Frank Rosaly, Steven Hess, and Michael Hartman), capable of both rage and introspection in collective improvisation that's one part joy, one part catharsis. 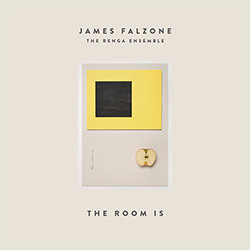 Chicago clarinetist James Falzone leads a sextet of reeds with Ken Vandermark, Ben Goldberg, Keefe Jackson, Ned Rothenberg, & Jason Stein in a set of 14 intelligent compositions joining minimalism, classical inferences and jazz with asymmetrical parts using both structure and freedom. 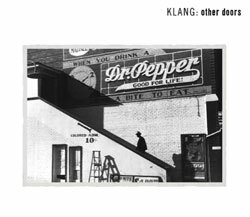 Chicago saxophonist Keefe Jacksonand Swiss pianist Hans-Peter Pfammatter in a contemplative and expressive duo album demonstrating powerful technique and subtle restraint through nine improvisations. 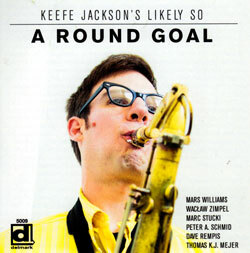 Keefe Jackson's all-reed group Likely So with Mars William, Waclaw Zimple, Marc Stucki, Peter A. Schmid, Thomas K.J. 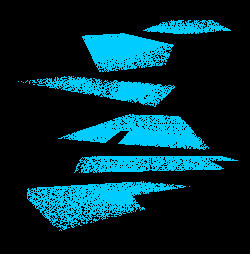 Mejer, & Dave Rempis in 11 compositions pushing the limits of the sax & clarinet family, recorded live at the 2013 Jazzwerkstatt Festival. 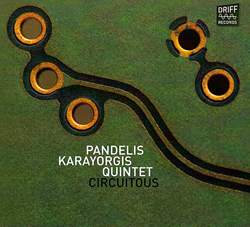 Some of Chicago's top improvisers in a set of new compositions by pianist Karayorgis, featuring reed players Rempis and Jackson in various powerful sax and clarinet combinations. 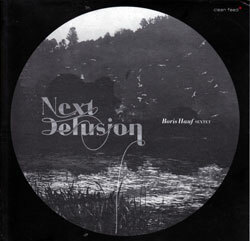 Berlin-based saxophonist Boris Hauf's sextet with Keefe Jackson (sax), Jason Stein (bass clarinet), Frank Rosaly (drums), Steve Hess (drums & electronics) and Michael Hartman (drums) in 4 extended pieces of boiling intensity.